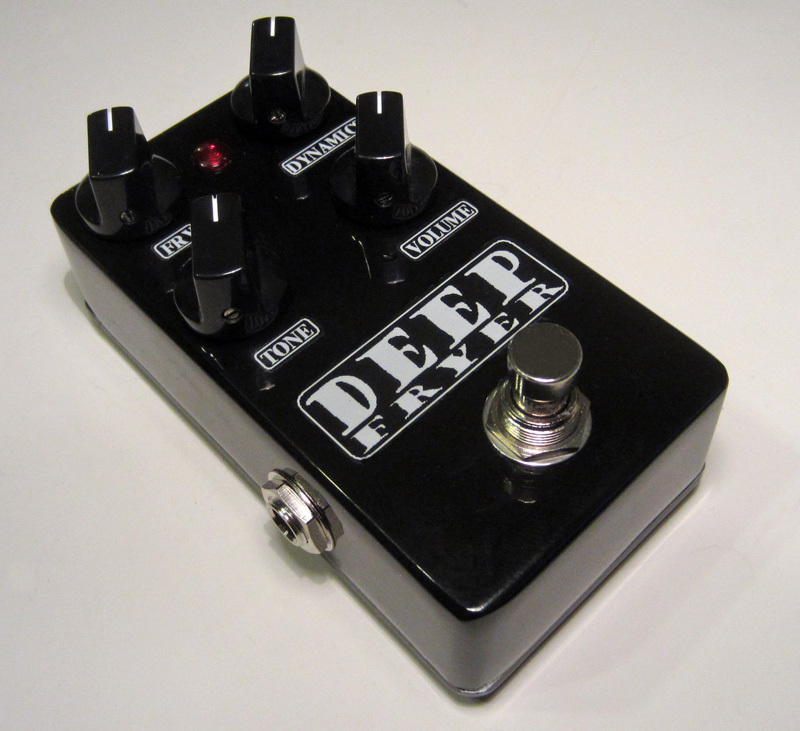 Barber Deep Fryer (V1): Dave Barber's pedals are always something special, and I love the sound of every one that he makes. This one is no exception. The Deep Fryer was designed specifically for bass players. It has a unique circuit in the way that it achieves its distortion, and, IMO, it's clean, light overdrive, heavy distortion and just overall tone is gorgeous. I would describe it as extremely smooth, yet ballsy. This is the first version in a very limited run so they're actually very hard to come by and rarely ever for sale. I was fortunate enough to have one sent to me for repair. After I got it sorted and played through it, I just had to trace it, draw up a schematic of it, make a veroboard version, and build an exact clone of it for myself. I'm pleased to say that mine sounds identical to the original. This model (single channel version 1) was discontinued in 2002. 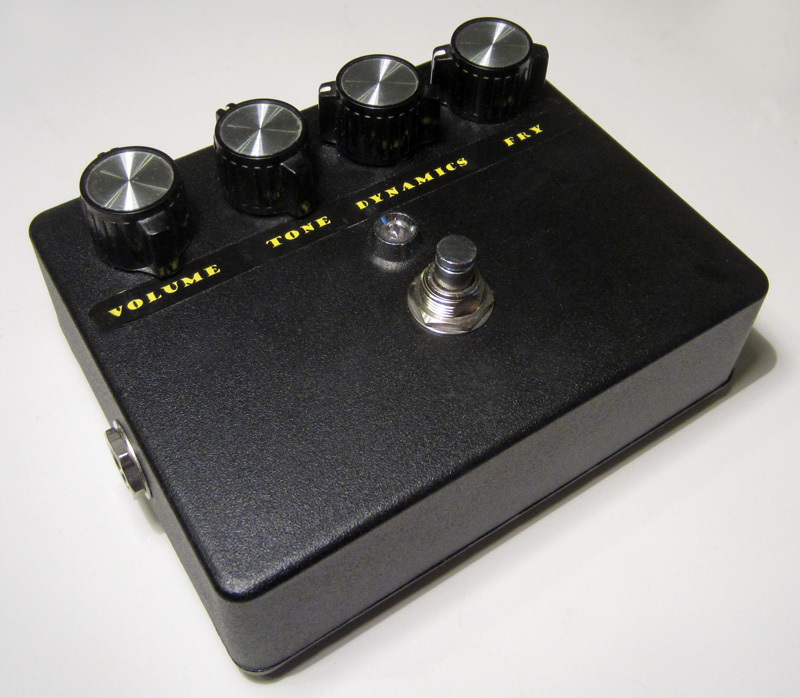 The controls consist of a volume, tone, dynamics and a 'fry' (gain/distortion). The dynamics control cleans up the grit and raises the volume as you turn it up. Counterclockwise makes it more compressed and adds more distortion and sustain. There's also an internal trim pot that allows you to increase or decrease the low bass. Dave Barber just seems to know exactly how to get beautiful tone out of his designs and now I see why bass players that already own one of these don't part with them. I've also read that guitar players love them too, which doesn't surprise me at all since alot of bass pedals sound great on guitar. 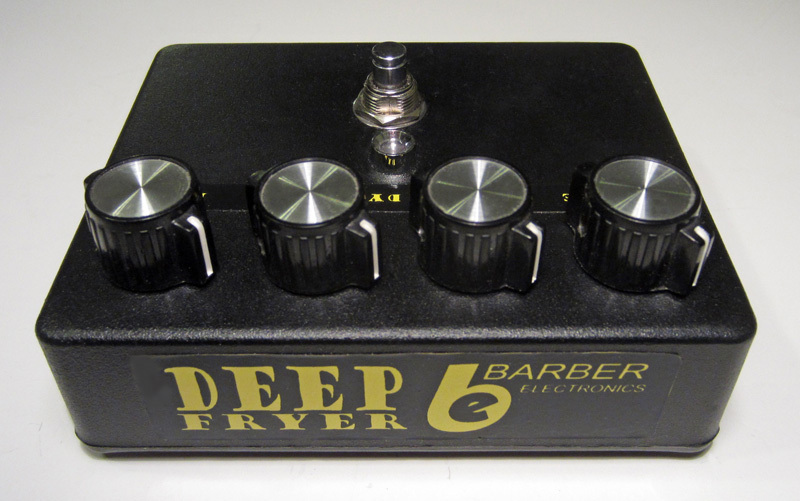 I'm now thinking about getting one of his new 'Burn Unit' Eq' or Small Fry pedals since they're the newest evolution of the Deep Fryer circuit. 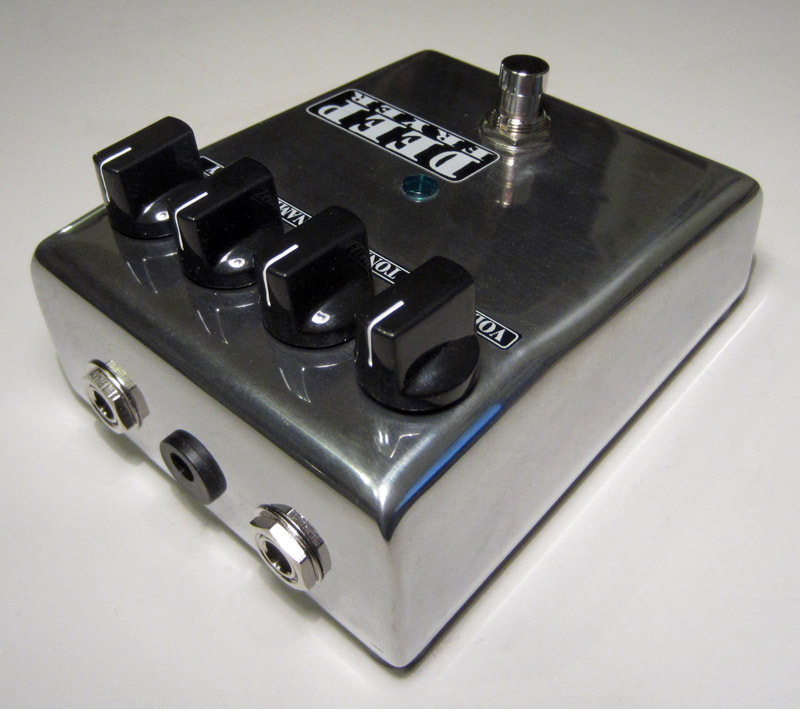 The Burn Unit being a two channel version, much like the Deep Fryer V2 ( but with internal presence, midrange and bass trimpot controls) , which was also built in a very limited run and long since discontinued. The single channel Small Fry is the evolution of the DFV1, only now with internal post gain bass & mid, trimpots along with pre-gain presence and shape trimmers. The Small Fry also has a 3 way clipping switch that selects between various symmetrical and assymmetrical options. 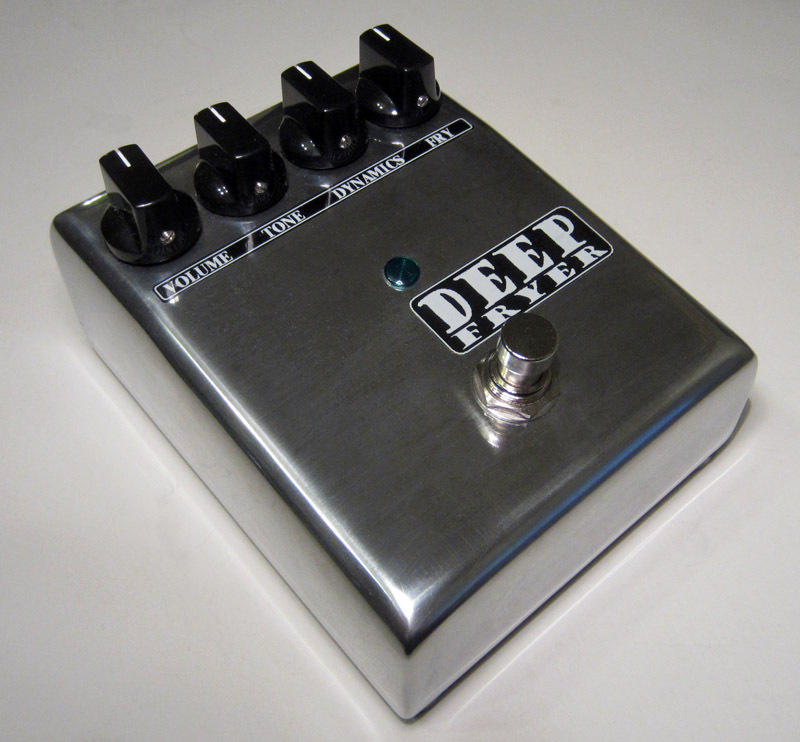 Rather than waiting to get the Burn Unit EQ or Small Fry, I located the original schematic to Barber's Tone Pump EQ, and a reverse engineered (although somewhat flawed) schematic of the Small Fry, and incorporated their combined features into a Deep Fryer, which I call the "Deep Fryer Deluxe EQ" (see pic below). It includes the internal presence and 'note shape' trimmers of the Small Fry, and the external mid and bass controls from the Tone Pump. 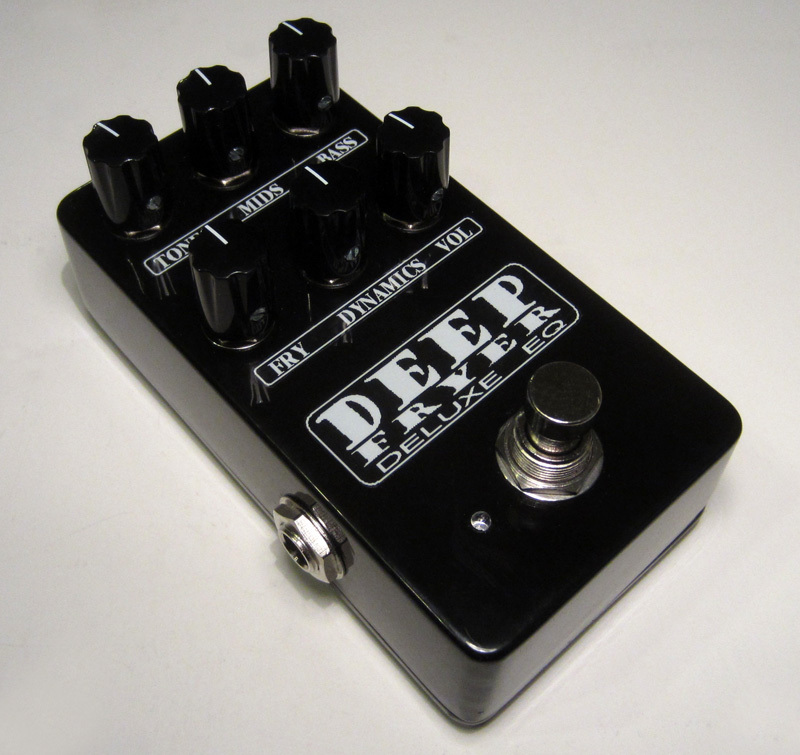 This is an awesome sounding bass OD/Distortion pedal that I like just as much and maybe even more than the Deep Fryer V1, and that's saying ALOT!